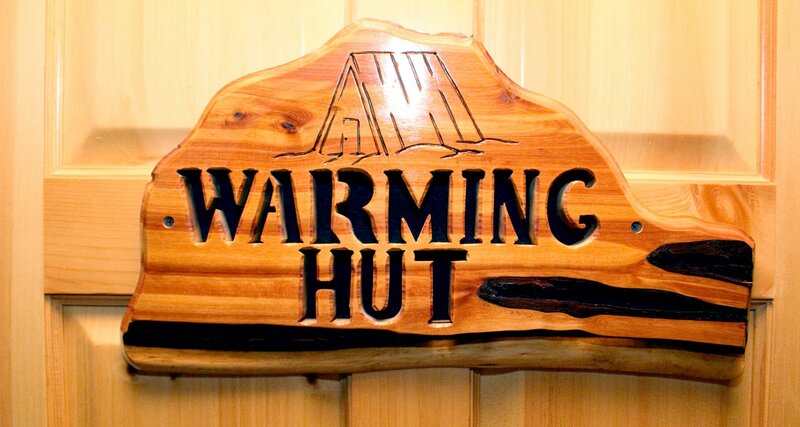 The Warming Hut features two double beds with handmade quilts and a lake view. 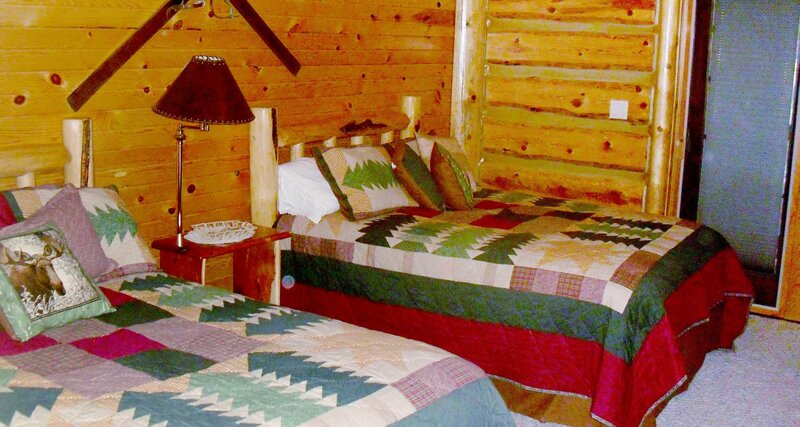 The room has a private bath and sitting area with comfy chairs and an antique dresser. The end tables are handmade from juniper and are each unique. 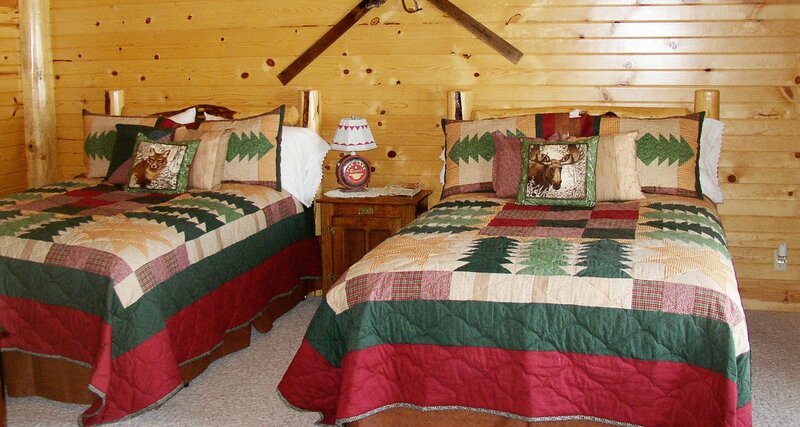 It's a great room for a small family or for friends! You have direct access to our huge wrap around deck!